If you own a Nikon DSLR, you have a camera capable of top quality results. However, you might not be getting those results if you only use one of the cheaper kit lenses that ship with many Nikon DSLR packages. We’ve put together an overview of 12 of the best replacements for your kit lens in 2018. All budgets are catered for, with all styles of lenses featured; wide-angle, mid-range, and telephoto. Released in 2007, the Nikon 14-24mm f/2.8G ED AF-S Nikkor Lensh lens provides ultra wide-angle coverage for full frame Nikon DSLRs. This is a seriously good lens, offering a constant and fast f/2.8 across the range, top class construction, and most importantly — superb image quality. If you used this on a DX crop Nikon body, it is still a reasonably wide-angle lens, providing an effective coverage of 21-36mm. The images captured by this Nikon lens are remarkable, sharp throughout the whole range, even the image corners are rich with detail, colour and contrast are impeccably observed. Very few wide-angle lens can even get close to this Nikon 14-24mm. The negatives, well it’s very large and heavy, but that shouldn’t be a real problem, any serious landscape photographer will mostly use a tripod. The other slight negative is that there is no filter thread, meaning you can’t attach the usual ND/CPL filters that you might like to use for landscape photography, but these are minor complaints considering the general performance of this lens. 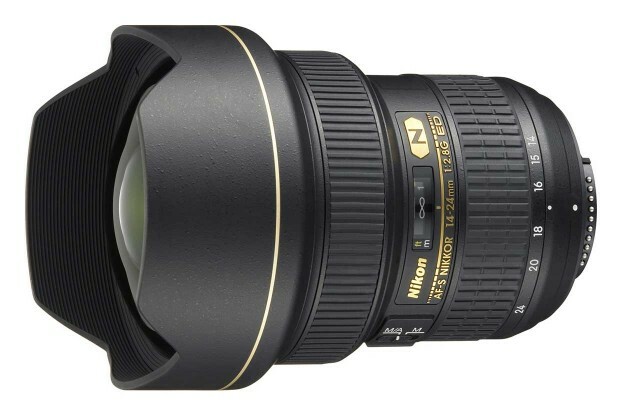 The Nikon 14-24mm is a top-class lens, if you want absolute maximum quality at ultra-wide range, look no further. 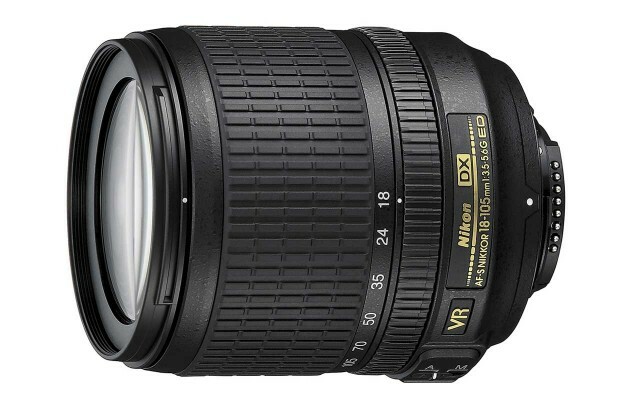 The Nikon 18-105mm f/3.5-5.6 AF-S VR Lens is a general purpose zoom lens that provides solid performance for a very reasonable price. It can be used on a full frame body, but is primarily aimed at DX crop Nikon DSLR body users. It features Nikon’s Vibration Reduction system, which helps to compensate for camera shake when shooting handheld. The VR mechanism can be turned on and off via the lens itself. Image quality, whilst not the ultimate in performance, is more than acceptable for a lens at this relatively low price point. Images are generally sharp across the range, some softening in the corners is present, as well as the expected distortion when used at 18mm, pretty much par for the course for a zoom lens of this range and price level. It’s possible to get a little background blur with this lens, but not being a particularly fast lens, this aspect is not a strong point. If a nice bokeh effect is a must for you, then you’d be better off with a zoom lens that offers a constant f/2.8 aperture. In summary, this is a good improvement on the standard 18-55mm kit lens that many Nikon’s ship with, and also a lens that provides some real value for money. 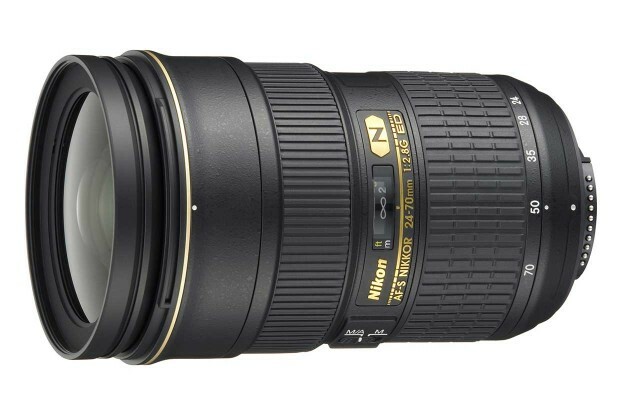 The Nikon 24-70mm f/2.8G ED AF-S Lens lens is an all-round strong performer. Great as a general purpose lens, the 24-70mm focal range offers excellent flexibility. 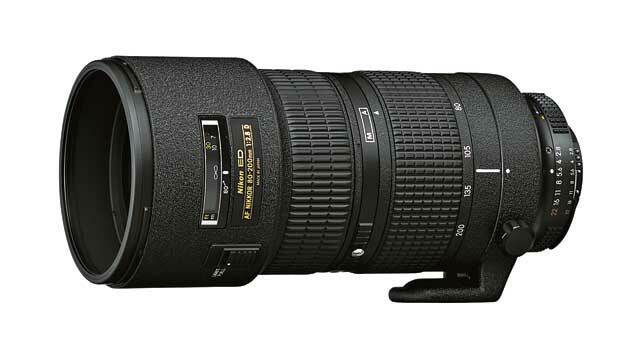 If used on a crop DX Nikon body, the effective length is 37-107mm, which is still a very useful range. This is a fast lens, with the constant f/2.8 aperture offering excellent low-light performance. Image quality is superb across the range, there is a little barrel distortion at 24mm, but this is mostly gone by 28mm. The only downside to this lens is the weight, it is a little heavy, but that is normal for a fast f/2.8 zoom, once you see the results this lens is capable of, a little weight is much easier to live with. 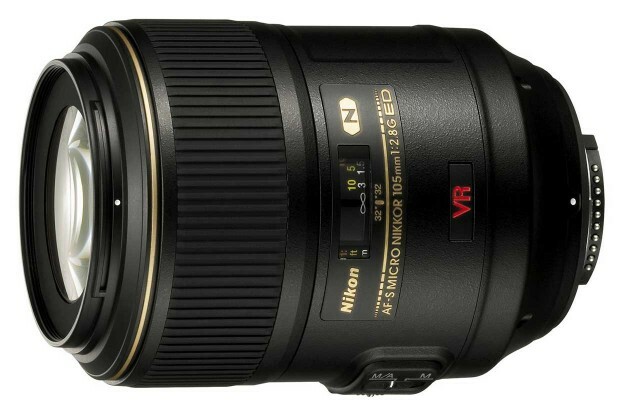 If you were to only own one Nikon lens, this versatile zoom would be a very good choice. 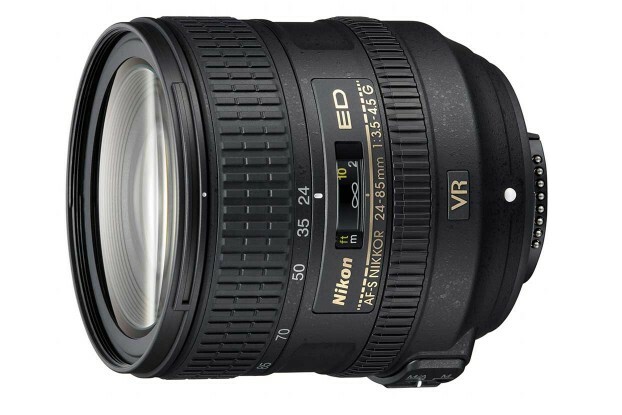 Introduced in 2012, the Nikon 24-85mm f/3.5-4.5G ED VR AF-S Lens is an all-purpose zoom lens for the photographer on a more limited budget. Primarily intended for full frame cameras, this seemed a slightly strange product release from Nikon, because if you can afford a full frame Nikon DSLR, then you’re also likely to be able to afford a professional zoom lens, like the 24-70mm. If this lens was mounted on a DX crop body you would get a 36-128mm equivalent range. The 24-85mm does have advantages over the 24-70mm, the first obviously being price, and the second being weight, this is much easier Nikon lens to carry around all day. The good news doesn’t end there, for a zoom lens at this price point, image quality is generally very sharp. There is distortion and vignetting present, generally more so than the 24-70mm, but these are easily dealt with when you convert your Raw files. This 24-85mm also features Nikon’s Vibration Reduction (VR) technology, which helps to prevent image blur as a consequence of camera shake. This is very useful for low-light photography and times when you don’t have a tripod to hand. Whilst not the ultimate in quality, this lens offers good solid performance at a very reasonable price point. 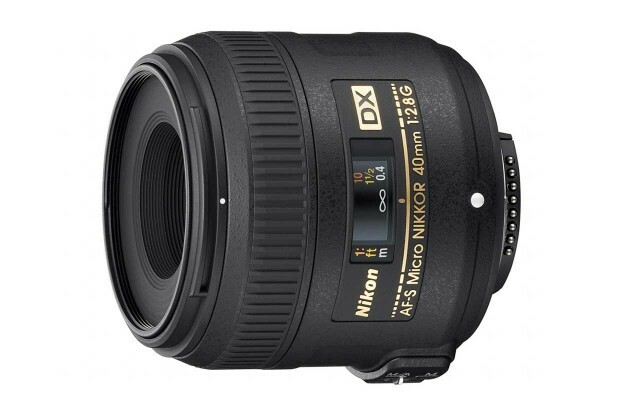 Released in 2008, the Nikon 35mm f/1.8G AF-S DX Lens is squarely aimed at Nikon’s crop sensor DX DSLRs, once mounted on a DX body is provides an effective focal length of around 52mm — a handy and classic length for everyday pictures. This is an ‘AF-S’ lens, which means it has Nikon’s Silent Wave Motor (SWM) technology for autofocusing purposes, as such this will autofocus on even the most budget Nikon DSLRs that don’t have their own AF drive. Whilst this is a budget lens, if you’ve currently just got a standard kit zoom lens (or the only shooter you have in your bag is an instant camera), then the improvement in image quality you will see with this little prime lens will be significant. Not to mention the fast f/1.8 aperture, helping you to shoot in low light and also create some reasonably effective background blur/bokeh. Another advantage this lens has over a heavier general-purpose zoom is the size and weight, this is a highly portable and light lens that is a great fit on a DX Nikon body. At this price point, and if you don’t already have a prime lens for you DX format camera, it really is an almost essential purchase. 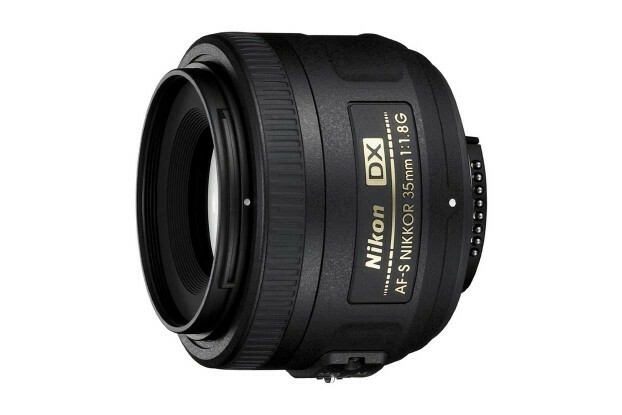 The Nikon 40mm f/2.8G AF-S DX Micro Lens is at the budget end of the macro lens line-up for Nikon DX DSLR bodies. That’s not to say it offers budget performance though. Mounted on a DX body this lens offers an equivalent focal length of 60mm. Some would argue this is a little short for this type of lens, but it’s still very usable as a general purpose prime with a relatively ‘normal’ focal length. When you add the fast f/2.8 aperture that this lens has, it all adds up to a rather compelling package for a DX owner. Image quality is excellent for a lens at this price point, slightly corner softening at f/2.8, much better when stopped down a little. General sharpness and contrast are superb. The is no image stabilisation (VR) offered with this lens, the filter thread is 52mm (non-rotating). If you want a serious macro lens then this probably isn’t it, primarily due to the short focal length. You simply will have to get too close to your subject for it to be effective in many situations. You may want to look at the 85mm or 105mm f/2.8 instead. If, however, you view this a general-purpose prime lens with solid optics, then it comes highly recommended for this relatively low price. 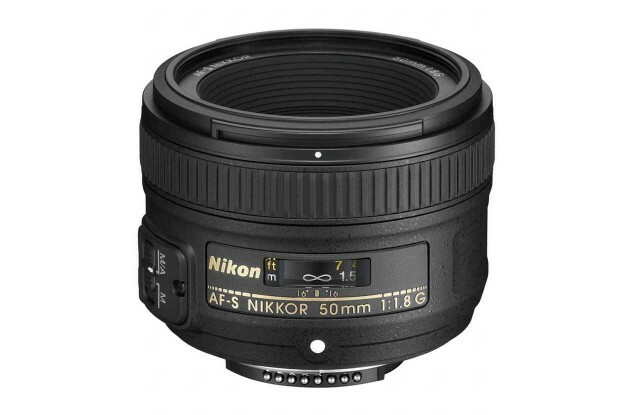 First announced in 2008, the Nikon 50mm f/1.4G SIC SW Prime AF-S Lens is a high-quality prime lens aimed at both FX full frame users and DX crop Nikon DSLRs. If used with a DX body this lens will offer an effective focal length of 75mm. The fast f/1.4 offers excellent low-light performance, as well as the ability for more creative shots with impressive background blur. The quality of blur/bokeh offered by this 50mm is of high quality; characterised by a lovely smooth finish. As you’d expect from a prime lens at this mid-level, general image quality and sharpness are exceptional, with excellent colour and contrast provided. This is a highly regarded prime lens, and one that is often compared with the slightly slower 50mm f/1.8, only you can decide if the extra speed and quality offered by this f/1.4 is worth the extra price. Released in 2011, the Nikon 50mm f/1.8G AF-S NIKKOR FX Lens is the replacement to the old (but still loved) AF 50mm f/1.8D model. 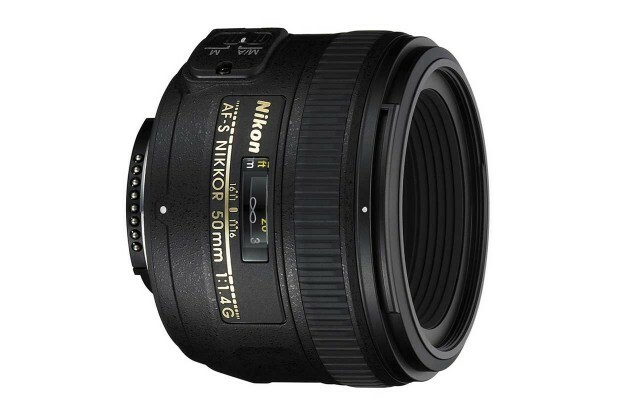 Mounted on a full frame FX Nikon body this is a classic 50mm lens that performs admirably. It performs just as well on a crop body, but remember the effective focal length will be 75mm on a DX frame. For the lens at this low price point the Nikon AF-S 50mm f/1.8G really delivers the goods, excellent image sharpness, nice background blur, and with little distortion. Whilst this 50mm is at Nikon’s cheaper end of the scale, and weighing in at just 185g, this lens still has admirable build quality that instills confidence in the user. If you need a lightweight everyday prime, this 50mm ticks the right boxes in every department. It’s hard to level any real criticism towards it when you balance performance and price. As such it comes highly recommended for any Nikon DSLR user. Released in 2009, the Nikon 70-200mm f/2.8G ED VR II AF-S Lens is a professional standard zoom lens that provides short to mid telephoto coverage. As part of your potential kit this lens works equally as well on full frame of crop Nikon bodies, as it’s a telephoto lens, those on a DX crop body may enjoy the ‘extra reach’ provided. This lens is perfect for sports and wildlife photography, as well as still providing very useful reach for general photojournalism. The constant f/2.8 is a big plus, although compared to an f/4 zoom, weight and price are increased as a consequence. Images are generally very sharp; with good colour and contrast provided. Distortion is particularly well controlled for a lens of this type. Focusing is smooth and rapid, the Vibration Reduction (VR) a real asset for a telephoto lens, build quality feels excellent; this is a large, heavy and robust piece of kit. 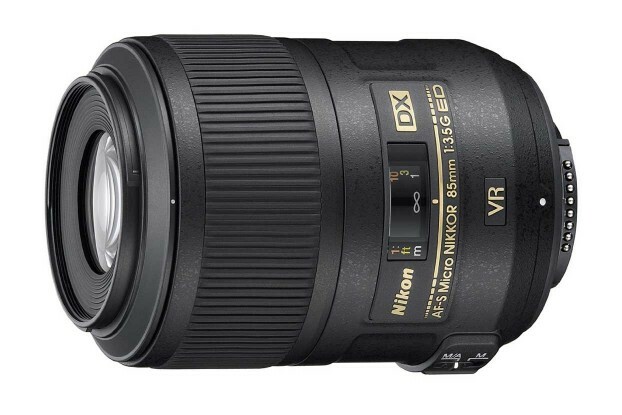 This is a telephoto lens that offers superb performance and quality, if, however, you don’t think you need the VR functionality, you might want to look at the Nikon 80-200mm, which is half the price. 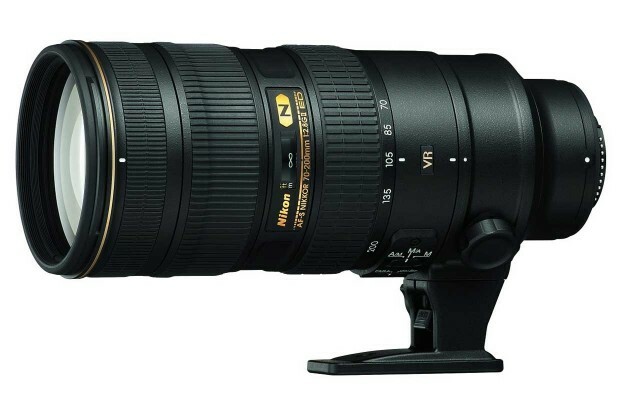 The Nikon 80-200mm f/2.8D ED AF Zoom Nikkor Lens for Nikon Digital SLR Cameras is a telephoto lens that, like its cousin, the 70-200mm, offers a constant f/2.8 throughout the zoom range. Build quality isn’t quite as refined as its stablemate, but this is still a very solid (and heavy) lens. Focusing performs well, just a little slower than other Nikon telephoto offerings that have VR or AF-S functionality. As well as sports and wildlife photography, a number of photographers love this length of lens for event and portrait photography. Image quality is a little soft at f/2.8, but nothing to worry about, the overall optically performance of this lens is fantastic. Background blur is excellent, and just gets better the longer the focal length you’re shooting at. If you’re wondering wether to get this 80-200mm or the more expensive 70-200mm, you have to ask yourself do you really need the VR offered by the more expensive model? If you’re mainly going to use this lens for landscapes/nature then you probably don’t. If you want a telephoto lens for indoor/portrait/wedding photography then the VR really comes in handy, so the extra expense would be worthwhile. Introduced in 2009, the Nikon 85mm f/3.5G AF-S DX ED VR Micro Nikkor Lens is a macro lens that provides an effective focal length of 128mm on Nikon Dx bodies. So as well as macro usage, at 128mm this lens offers useful reach for other styles of photography, portraiture in particular. This is an AF-S model, and as such will auto-focus on any Nikon DSLR camera body. This is also a lens that offers Nikon’s VR image-stablization technology, in fact it’s currently Nikon’s shortest length prime lens to offer this functionality. 52mm filters can be attached to the non-rotating filter thread provided. Image quality if solid if not spectacular, a good performer at most apertures, but can be a little soft when wide open. With the VR technology and focal length this lens offers, it can be considered a solid improvement on the 40mm, and it’s an awful lot cheaper than the class leading Nikon macro, the 105mm. First introduced in 2006, the Nikon 105mm f/2.8G IF-ED AF-S VR Micro-Lens is a macro lens primarily aimed at extreme close-up and portrait photography. Depending on your intended uses, this 105mm can be equally as useful on crop or full frame Nikon DSLRs. Nikon does produce a couple of other macro lenses at shorter focal lengths (40mm + 85mm), but these do not enable you to stay at the same comfortable distance from your subject as this 105mm, this really is the perfect focal length on a full frame. This is a pro standard lens with build quality to match. Image quality is excellent throughout the aperture range, with the Vibration Reduction (VR) technology aiding hand-held shooting at wider apertures. Focusing is quick, quiet and smooth process. Background blur is exceptionally well realised. This lens is more expensive than the other macro lens offerings from Nikon, but it more than justifies the extra expense, this is the finest macro lens from the current Nikon line-up.